There’s always something to do in Brisbane. From water parks to roller coasters, there’s something for everyone! 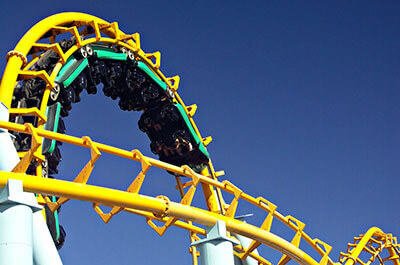 If you’re headed to an amusement park in Brisbane, a car service with Limoso can help get you there. Don’t worry about finding parking again with our Brisbane attraction car services. We offer transportation car hires to Sea World Gold Coast, Dreamworld, and more. Book a chauffeured car to any of the best amusement parks or attractions in Brisbane. Dreamworld is the largest theme park in the Gold Coast. Dreamworld features themed areas like the DreamWorks Experience and Tiger Island, plus rides and a wildlife park. The WhiteWater World water park is also located right next door. Book car services to DreamWorld today! More commonly referred to as Movie World, Warner Bros. Movie World is the only film studio related theme park in Australia. Warner Bros. Movie World features characters from DC Comics, Scooby Doo, Looney Tunes, and more, as well as thrill rides and live stunt shows. Reserve Movie World theme park transportation with Limoso. 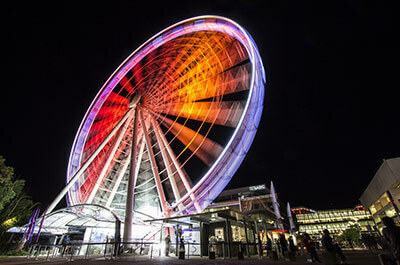 This Ferris wheel was originally erected in 2008 to celebrate the 150th anniversary of the State of Queensland. The Wheel Of Brisbane has 42 enclosed capsules to carry visitors 60 metres high for incredible panoramic views of Brisbane. Wet'n'Wild is located adjacent to Movie World. Wet'n'Wild Gold Coast remains in operation all year long with heated pools and slides for the winter months. Reserve a Wet'n'Wild car service today! 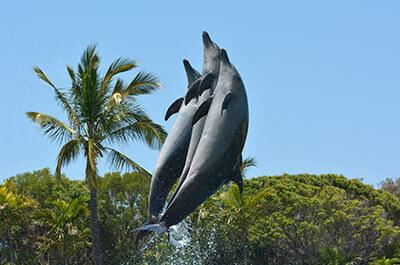 The Sea World theme park in Gold Coast has been in operation since 1971 and is now part of the same chain of theme parks as Warner Bros. Movie World and Wet'n'Wild Gold Coast. Sea World features a variety of marine animals & polar bears, with splash shows, rides, and interactive tours. Book all of your Sea World transportation with Limoso. Reserve car hires to Sea World Gold Coast, Dreamland, and other theme parks in Brisbane with Limoso. If you’re looking for something to do in Brisbane, Limoso can help get you there, too. Book a car service in Brisbane to the amusement park or attraction of your choice. Limoso can also provide services to festivals and special events in Brisbane, as well as casino transportation to Treasury Casino.